Marketing, like any facet of a successful organization, is about constant improvement. And the only way improve is to measure. Because measurement and analytics are like a map. And when trying to get from point A to point B, you need guidance. Without it, you’ll get lost fast. So let’s dive deeper into this topic of why you need to measure marketing. Marketers have a ton of tools at their fingertips when it comes to marketing measurement. And in this post, I’ll focus on how you can use Pagezii tools to steer your digital ship. Use marketing measurement to understand how your blog is performing in your niche. 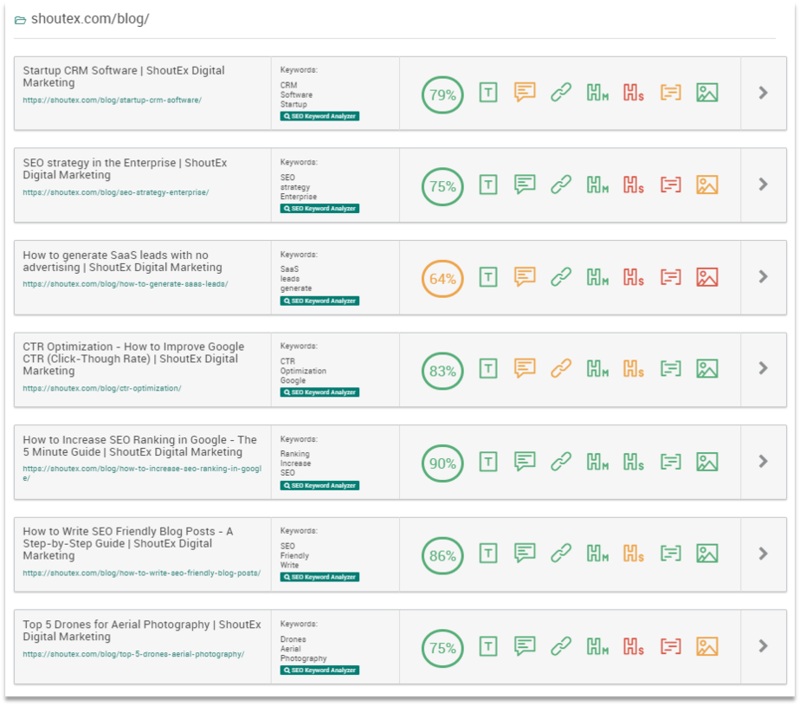 Here’s where you analyze your SEO, Writing Style, Social Platform targeting, and topic selection against other blogs in your industry. Why’s this important to do? Because a blog is a powerful tool for filling the top of the funnel and passing more leads to sales. And understanding how other players in your niche are tapping into this content marketing platform is key to self-improvement. Measure SEO scores across different blogs. Are players in your niche taking SEO seriously? Do they have to? You can also measure how they’re crafting content. Maybe audiences in your niche prefer a certain writing style over others. So, you can use this measurement and adjust your own content writing. You can also use measurement to track which topics are popular in your industry. Look at what is popular – are you focusing on these topics? If so, you’ll see a high Pagezii Trending Topic Score. If you see a low score, it’s time to focus on what matters. Measuring SEO is always important for optimizing top of funnel efforts. And you can measure SEO from a few different perspectives, too. First, use your Pagezii SEO Analysis Report to get a bird’s eye view of SEO performance, page-by-page. Then benchmark SEO scores, and start optimizing content based on SEO scores below your benchmark. You can also look at how other sites are ranking for high-value keywords. Having this tracked data emailed to you week-in and week-out is key for generating high-quality traffic to your site. Measuring Twitter helps you understand your brand’s industry authority alongside other players in your niche. Here’s where you can use Twitter metrics like # of tweets, followers, following, and other account metrics to get an overall account score. You can then stack this score up against your industry. After seeing where your Twitter account falls in the market, look at which players are top performers. AKA accounts with the highest Twitter Scores. Start by looking at the types of interactions and conversations in your niche. Are they aligned with your the style of social content? If not, you can use this data to pivot. The fundamental reason why you need to measure marketing is that it guides your efforts. Without some form of measurement, you’re wandering around the forest without a map. But with marketing measurement, you can understand your own performance, and look at what other players in your industry are doing to get results. So start marketing effectively. And try the tools you saw in this post today.